The concept of letting the machines interact with humans based on either voice or gestures is called machine to human interaction. The millennial and iGen generation can identify better to this concept in the form of gaming through ‘Kinect’ where human gestures replaced the traditional gaming consoles or ‘Siri’ the famous which lets you control your mobile through voice commands. 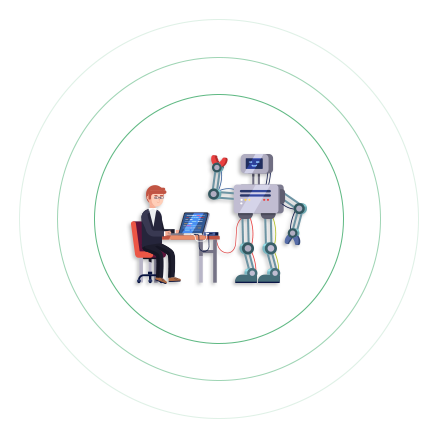 Machine to human combination is a form of communication in which humans co-work with Artificial Intelligence (AI) systems and other machines as opposed to utilizing them as tools or devices. The aim of this machine to human collaboration is to use each other’s strength, physical abilities and to tackle weaknesses.